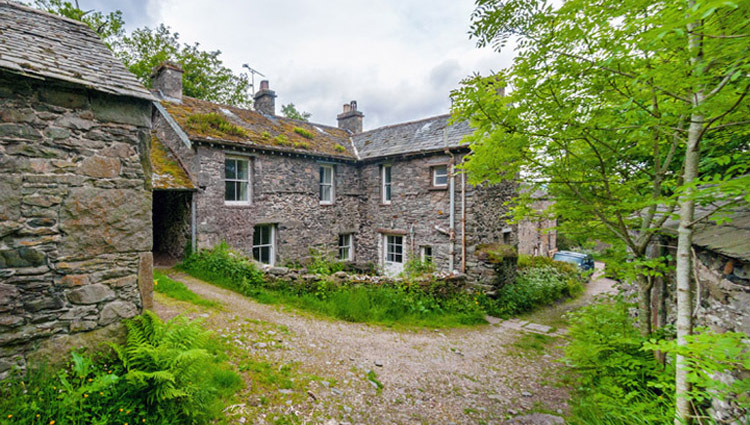 Swarthbeck Cottage: Swarthbeck Farm Holiday Cottages on the shore of Ullswater in the center of the Lake District, Howtown, Penrith, Cumbria. CA10 2ND. Swarthbeck Cottage sleeps 6 people. This is our smallest and most affordable property, being suitable for couples or up to 6 people in 3 bedrooms. It is semi-detached from the farmhouse and benefits from a garage for one car (others may be parked nearby) It has a woodburning stove in the sitting room and partial central heating from the owners side. It is surrounded by grazing land and there is a garage for one car with space for others. There is a large sitting room, an entrance hall and kitchen/dining room. Heating is by wood burning stove (fuel provided) and central heating from the owners side. Upstairs is the bathroom, one double bedroom, one twin and one with full size bunk beds. The stove heats the water and there is also an electric immersion heater.